Uttarayan - This is one festival celebrated all across India, with different names. More importantly, its not really a religious celebration. Its more to do with the Sun in the phase, where in the day starts becoming longer and longer, and hence, its more of a postive sign. So, in short a nice time to start new things in life. Atleast from what I know, from the top of my head, this festival is known by many names, by different parts of India. The picture below kind of depicts my thoughts. 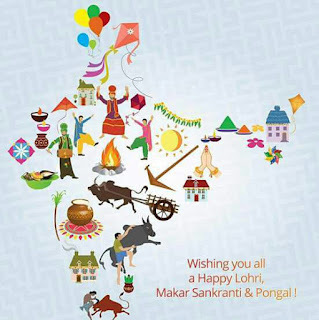 So, Makar Sankranti, Lohri, Pongal, Bihu are the few which I know. And few among these are mainly the Harvesting Season Festival and hence the celebration. After all, whats celebration without the choicest of food. 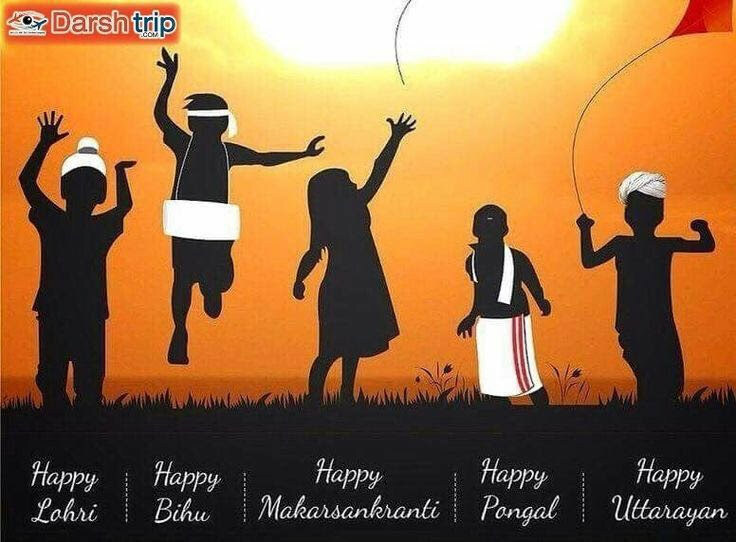 While Sankranti is celebrated in Karnataka/ Andhra , Maharashta and Goa on a very large scale. And its a season, when the delicacies for the cold weather are prepared. Especially the Til and Gul , and also the famous Marathi saying, Til Gul Gya and God God Bola. ( Eat sweet and speak sweet). While In Karnataka, the same ingredients but with a slightly different preparation is shared with your near and dear ones, which is called 'Ellu Bella". Again having Til and Gud along with Chana and Sugarcane pieces. I know more in detail of the ones which I mentioned above. Its very interesting to see so much diversity yet the similarity in the festivals in India.